You'll be £19.99 closer to your next £10.00 credit when you purchase The Army of the Roman Republic. What's this? From the moment its last king was expelled (traditionally in 753) the Roman republic had to fight for its very survival. Centuries of almost continuous warfare saw Rome’s armies evolve in response to a wide variety of threats which were met with mixed fortunes though always with ultimate success. As defence of the homeland turned to territorial expansion, Roman forces also had to adapt to sustained campaigns in varied terrain and climates, not to mention the changes in the Roman republic itself. 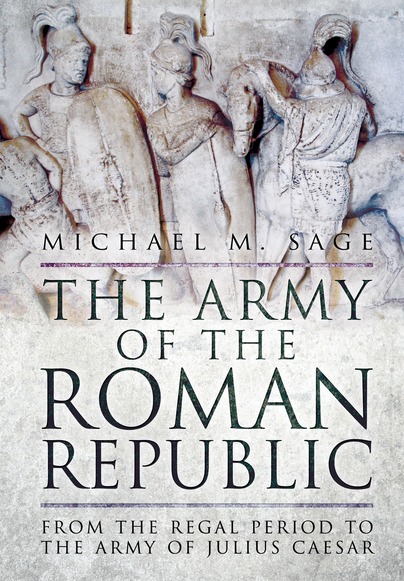 Michael Sage traces the development of the republic’s army from its foundation (having first set the context of their regal antecedents), down to the time of its most famous leader, Julius Caesar. The transition from clan-based forces, through the ‘Servian’ levy and the development of the manipular and cohortal legion is examined along with the associated weapons, tactics and operational capabilities. We see how the legions shaped up against the challenges of successive enemies from the Celts and Samnites, the Carthaginians and the hitherto-dominant Hellenistic armies based on the Macedonian-style pike phalanx. Michael M Sage gained his doctorate in Classics from Toronto University in 1973. After a long teaching career at the University of Cincinatti, Ohio, he is now Emeritus Professor of Classics. His previous works include Warfare in Ancient Greece: A Sourcebook (1996) and The Republican Roman Army: A Sourcebook (2008).